Stop in Today for Wholesale Produce! Looking for an assortment of fresh vegetables and fresh fruits to fill your pantry with delicious produce? Need to incorporate more produce into your diet and burn off the winter weight? For cheap, wholesale produce look no further. Rainbow Produce is your Gainesville, FL destination for wholesale produce and retail produce. We specialize in only the finest certified organic produce. Stop in today for all of the fresh vegetables and fresh fruit you need and support your locally owned and operated produce shop! At Rainbow Produce, we're proud to amaze our customers with our dedication to providing the highest quality fruits and vegetables in the area. We provide our customers a convenient one-stop shop. You can find everything you need from the everyday vegetables to fresh fruits from around the world! From squash, peppers, and onions to cherry tomatoes, eggplant, and broccoli, we carry just about any kind of fresh fruits and wholesale vegetables that you could imagine! Enjoy the easy-of-use of never having to leave your home to purchase your groceries! We will deliver your groceries at your doorstep. Stop by Today for Local Produce! Rainbow Produce purchases fruit and vegetable from our local Gainesville, FL farmers whenever possible. We strive to carry the freshest fruits and vegetables available. You can save an additional 10% for cash and carry, and we are also the only location with delivery options available 5 days a week, excluding Wednesday and Sunday. At Rainbow Produce we provide a large selection of local produce including fruits, vegetables, seasonings and ingredients to help provide you and your family healthy food options. Rainbow Produce is a locally owned and operated grocery supermarket in Florida region. Our one-stop shop is community oriented and responsive to the needs of surrounding neighborhoods and known for many years for the quality of our fresh produce and competitive prices. Come in and discover the friendly, fresh, clean and convenient location of Rainbow Produce! Most adults can appreciate the benefits of consuming farm fresh vegetables and fruits. We are glad that our customers leave happy. Fresh and wholesome vegetables are available to you 6 days a week for the retail customers and special days and hours for our wholesale produce customers. You can Always Purchase Fresh Fruits at Rainbow Produce. Rainbow Produce is an organic grocery store that sells high quality, fresh fruits and wholesale vegetables delivered right to your doorstep. If you like fresh produce then you've come to the right place. 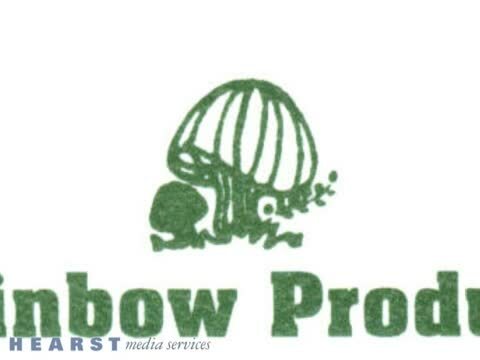 Thousands of customers for many years have turned to Rainbow Produce for all of their healthy food needs. We offer a variety of local produce, from green beans to fresh fruits and all kinds of grocery products. We value high-quality service and strive to make our customers happy. If you have any questions regarding our service or products, give us a call today! You can get the fine taste of home grown vegetables and fruits every day. Many of the products at Rainbow Produce are organic. As our supply varies from season to season, you can always contact us to find out what produce is available. Our fresh fruits and vegetables are locally grown and come from the farm to your table. If you know what you're looking for, give us a call: we'll package your order so it's ready when you get here. Need quality fresh fruits and vegetable for your special occasion? Stop in and browse and enjoy picking out your own fresh fruits and vegetables. Call us for more information about our wholesale produce offerings. We really do appreciate your business. Proudly serving the Gainesville, FL area. Rainbow Produce is your source for fresh produce, fresh vegetables, and fresh fruit. We buy our products from local farmers and sell them at a low price to wholesale and retail operations. We are a locally owned and operated market looking out for our local restaurants and our community. We are the only wholesaler with delivery option available 5 days a week, excluding Wednesday and Sunday. Walkins/Will Call 10:00 AM TO 5:00 PM Only.